Party Buses, Executive Shuttles, Limos and more. Sleek and fun, our vehicles come fully loaded. Executive Shuttles with Captain's Chair seating. Mercedes Sprinters are now available. Elegant Shuttle Buses for up to 27 people. OVER 100 FIVE-STAR REVIEWS ON YELP PROFESSIONALISM. LUXURY. STYLE. 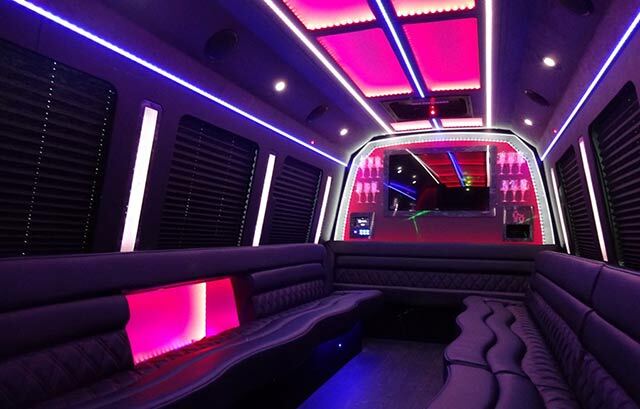 We are proud to offer an outstanding fleet of large-party buses for 14 to 20 people. The limousine is still the epitome of elegance and perfect for wine tours and special nights out. 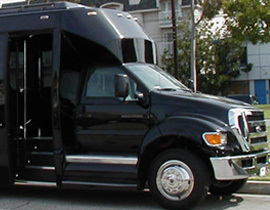 Up to 27 passengers can ride in absolute comfort and safety in our luxurious shuttles. 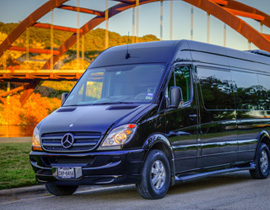 Mercedes Sprinters, vans and sedans are available to fit your small-party needs. 5-Star Yelp Rating for San Francisco & Napa Limousine and Large-party Bus Services! With over 25 years experience in providing Limousine (and now large-party Executive Bus) services to San Francisco and the bay area, Million Services offers a fleet of immaculate limo buses and limousines to take your party to its detsination in style and comfort. We have extensive knowledge of Sonoma and Napa Valley Wine Country, San Francisco, Bay-area freeways, and alternative roadways for time-sensitive scheduling. You can count on Million Services to handle your every need with efficiency and elegance. 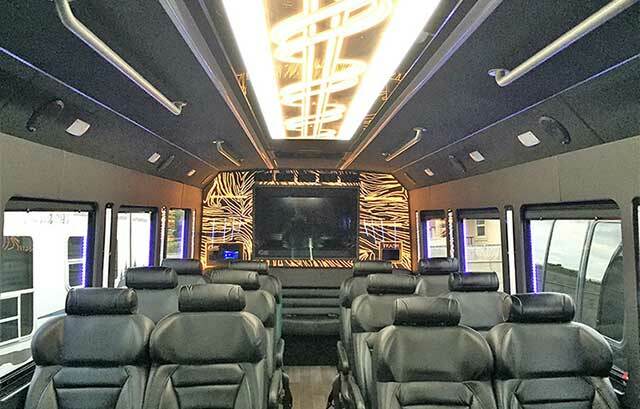 A large-party Bus Limo (Limo Bus, Executive Bus) is a luxury bus with all of the amenities of a limousine yet it has considerably more seating and room than a stretched limousine. A large-party Bus Limo can accommodate far larger parties which makes it perfect for weddings, executive events and large outings. 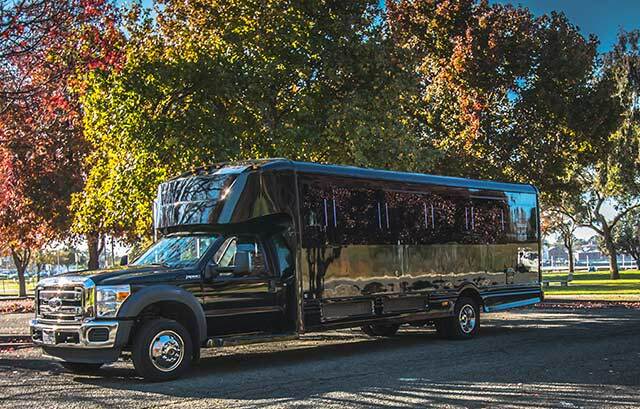 Million Services' fleet of Multi-party Buses and Limousines has been satisfactorily servicing the limo and limo bus needs of clients in the San Francisco Bay Area, Sonoma and Napa Valley Wine Country for many years. Our vehicles are professionally cleaned, maintained and serviced to ensure the very best in comfort, convenience and safety for your special outing. 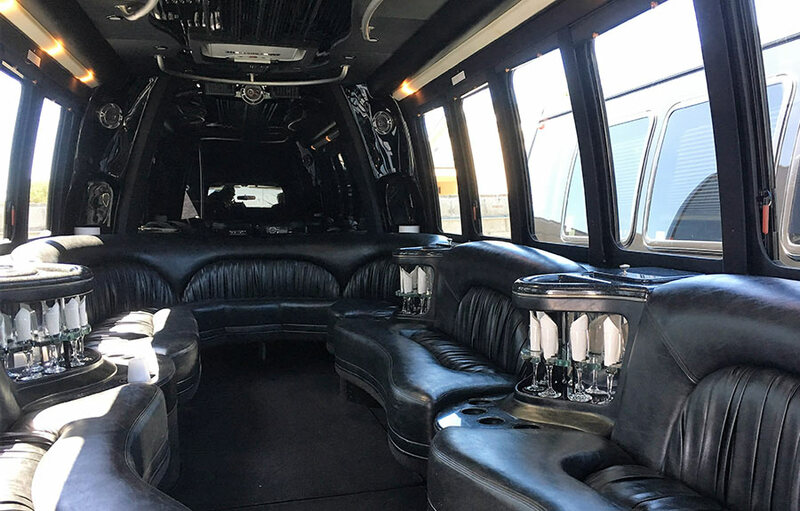 Whether you're wishing to take a Napa Valley Limo Bus Wine Tour or are seeking a luxury limousine, limo-bus or sedan for your Wedding, Bachelor or Bachelorette Party or Corporate Event, we have the right solution. Please review our Limousine and Limo Bus services for San Francisco, Napa Valley and Sonoma County and the rest of the Wine Country. Enjoy the best vineyards & wineries for a range of great wine-tasting, sight-seeing and luxurious comfort at some of Napa, Sonoma and the Wine Country's best spots. Our large-party Bus and Limousine chauffeurs are always on-time, courteous and knowledgeable about the best routes, restaurants and sights in San Francisco and surrounding areas. By far the best way to enjoy a night out on the town in the city. 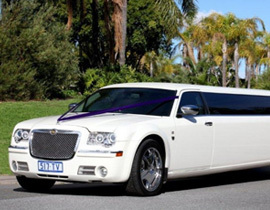 Ride in style and class in a stretched limo, multi-party bus or sedan. 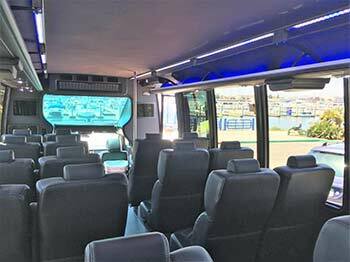 Ladies and gentlemen alike can treat themselves and guests to a safe and fun adventure in one of our ultra-fun and luxurious limo-buses. Much of our service caters to business VIP's and we know well how to make our clients feel comfortable while we handle everything else. The special day must go well so we take care of the travel so you can focus on family and building lasting memories while your wedding party rides in luxury and comfort. Your amazing day is in great hands! Wine tastings and tours are a must in Northern California. Visit the vineyards and wineries in style, comfort and safety. Our airport transfers, pick-ups and drop-offs to and from SFO are the way to beat the traffic. Our drivers know the fastest routes, getting you to your flight or hotel quickly. We know well how difficult such occasions are and our staff are there to take care of your travel requirements so that you can focus on your family, friends and thoughts. of repeat business from satisfied customers and over 100 5-Star Reviews on Yelp.com! We now offer payment of deposits online via PayPal. Click here. the differences between a stretched limo and a limo bus. 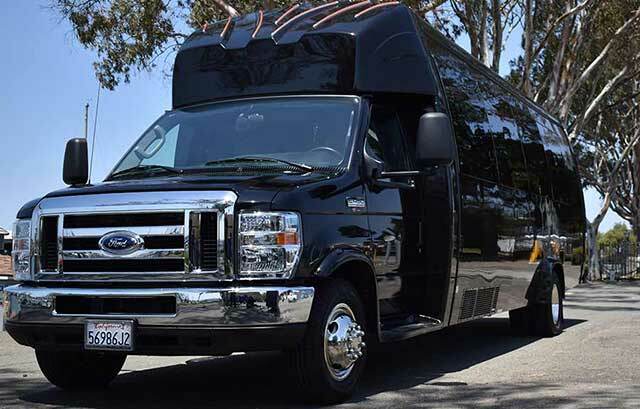 For more information on our Napa Valley Limo Bus Winery Tours click here. 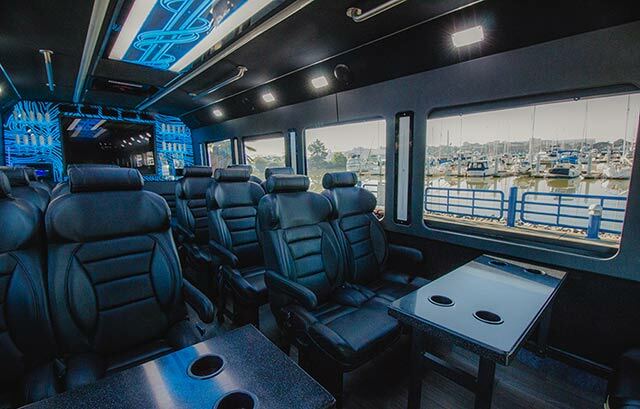 For San Francisco multi-party Bus Rentals, Limousines, Airport Service, Weddings, Proms and Business Services click here. Thank you for your interest in Million Services (TCP 25097) Limo Bus and Limousine service; we look forward to serving you! With over 20 years of experience in Wine Country, Million Services knows the best routes, best wineries and the best eateries to make your visit to Wine Country perfect. 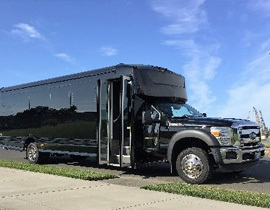 Take up to 27 passengers out in style in our pristine fleet of Limo Buses. 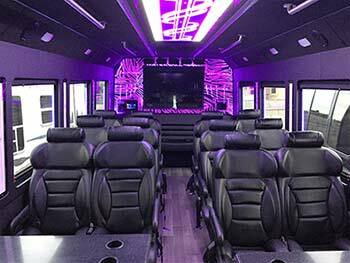 Killer audio system, flat screens, phone recharging stations and party lighting come standard. 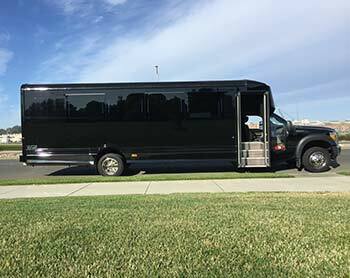 Stretch Limousines for your next event with all the comforts to spoil you and your guests while en route to anywhere in the Bay Area. 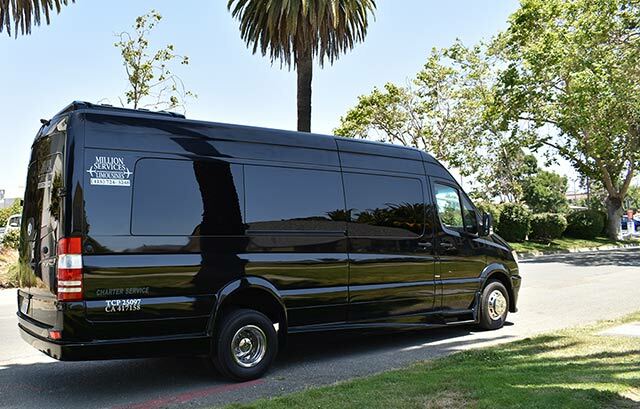 We are one of the few transportation services with the required permits to operate on school campuses in the Bay Area and pride ourselves on our immaculate safety record. 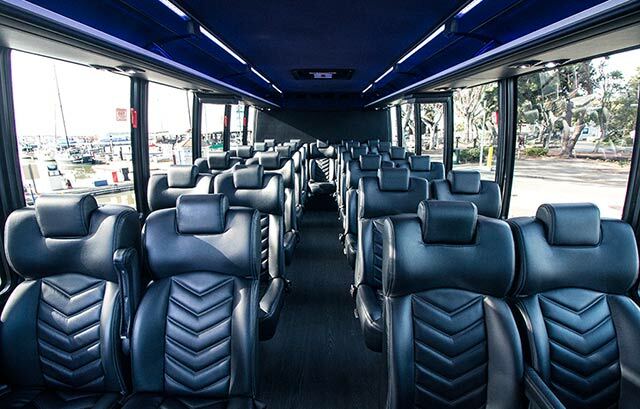 From concerts and special events to sporting events throughout the San Francisco Bay area, you can count on Million Services to get you there on time and in style.